St Thomas Day School – Where learning is fun! 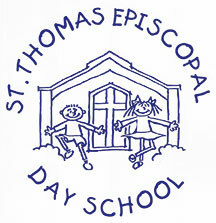 The mission of St. Thomas Episcopal Day School is to provide a reading and school readiness program, rooted in Christian principles. It’s time to sign up for the next school year! Turn in your registration form soon to make sure your child has a spot for the 2019-2020 term. Click on the link below to download the application (fees and tuition rates are on the form). St. Thomas Episcopal Church. Since 1868.